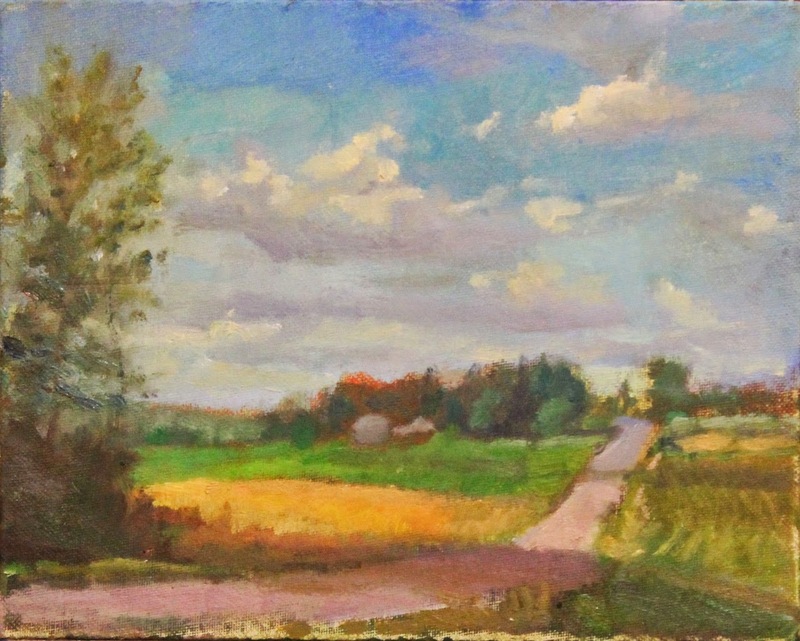 I will be painting in the Castine Plein Air Festival this week, in Castine, Maine. Three days of painting sunup until sundown. This is my first time painting in a multi-day event so I expect to learn a lot. I'll be sure to take plenty of photos and post about it next week . Last week I changed it up a bit. 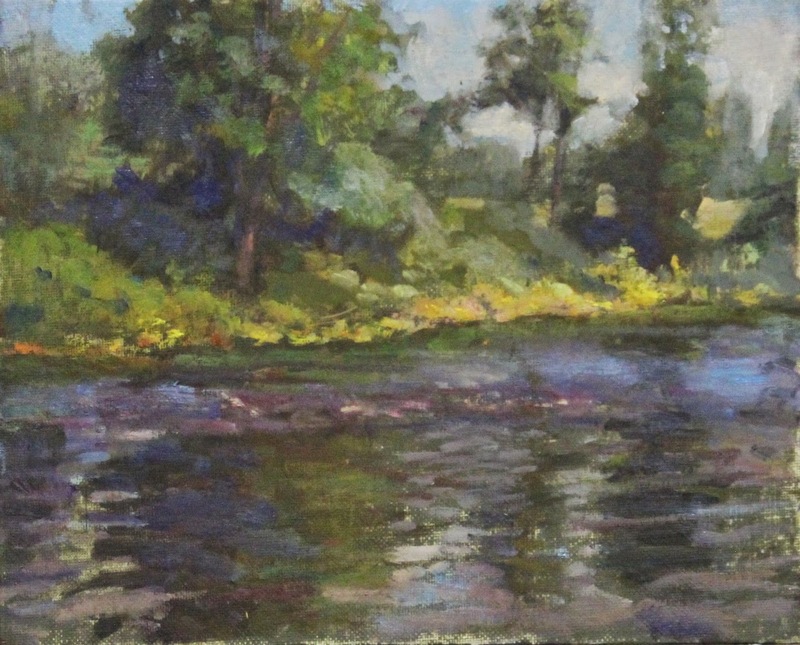 Instead of painting a coastal scene, I switched to painting some fields and streams.... rather, streams then fields. I hacked my way through some brush and painted this standing on one foot on a rather steep slippery bank. Imagined myself painting in France with Monet a hundred and twenty years ago. LOVE them!! Very Monet with the delicate, happy colors!